Learn expert insights on personal investment strategies and philosophies, and on picking winning stocks. 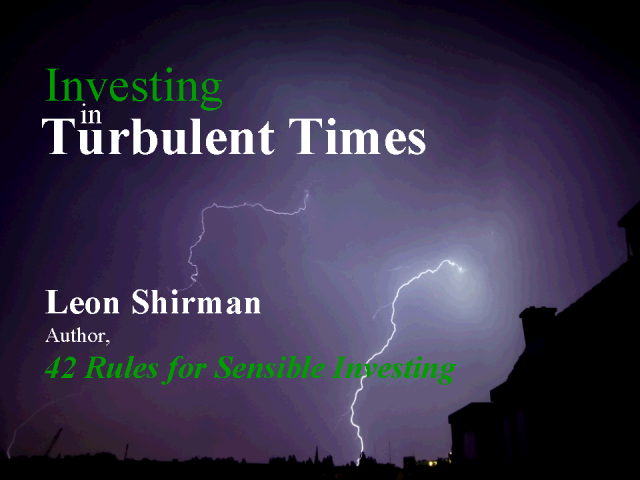 Leon Shirman will share strategies that are presented in concise, practical, and sensible rules. Mr. Shirman will present investing principles that can be used to evaluate your portfolio allowing you to immediately implement changes if necessary.